Practicality, superb looks and high performance on a budget – that’s what the Square Shower Mixer with Diverter is all about! This classy and functional shower mixer tap is designed for easy installation in bathroom renovations and new home installations alike. The Square Shower Mixer tap’s biggest feature is its bold, ergonomic look. It will transform the looks of any shower into a contemporary bathroom space. 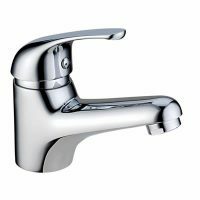 With a durable chrome finish, this mixer tap is designed to last heavy usage. 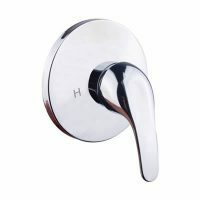 And, it’s solid lever handle, it can easily be gripped and operated with one hand. 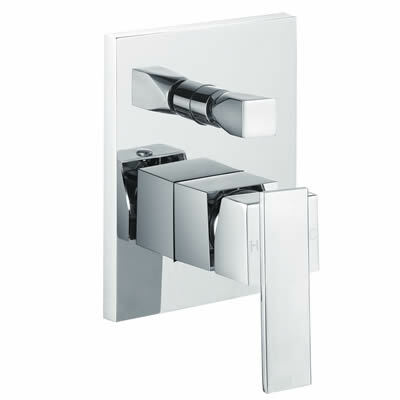 The Square Shower Mixer is also a highly functional and practical tapware unit. It is manufactured to the finest standards of quality and features solid brass construction for added life. It is also equipped with high grade ceramic disc cartridges, which offer excellent control over water flow and temperature. For added functionality, a diverter is included. So, go ahead and add the Square Shower Mixer with Diverter to give a facelift to your bathroom. 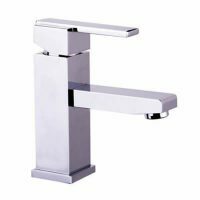 Buy this superb shower mixer tap at the lowest price in Perth from Ross’s Discount Home Centre and avail of free delivery in Perth Metro. Buy this mixer tap today!